Tucked away in a very private position at the end of a cul-de-sac, is this fantastic, recently built four-bedroom home. Less than two years old, the property is pristine and presents comfortable, stylish living and superb buying. Upon entry, you will find a soaring atrium and a contemporary and practical open plan layout. A secure, triple garage also offers an abundance of storage room and direct internal access to the home. The combined lounge, dining and kitchen opens onto the rear entertaining area and garden, which is terraced down to Ithaca Creek. This wonderful external space is perfect for relaxing and entertaining and it also gives the home a tranquil and unique outlook. The kitchen is large and has stone benchtops and quality appliances including a wide oven and induction cooktop. A butler's pantry offers an abundance of room for meal preparation and storage, making it easy to keep the kitchen looking sleek and tidy. In the living room, an integrated bookcase, adorned with vintage timber and a stacked stone wall is a point of interest. There is a guest bedroom and bathroom on this level and a family sized laundry. On the upper level, a second sitting area makes a great children's retreat. 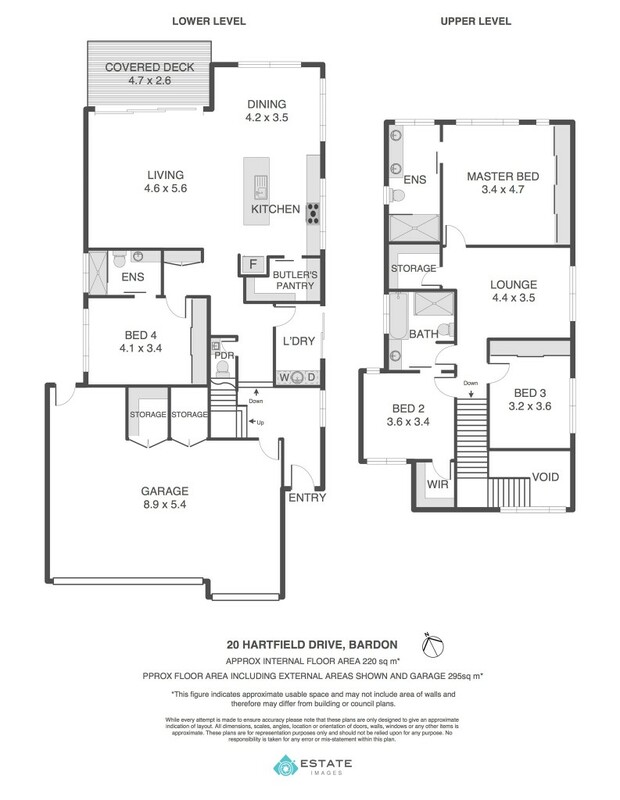 There are three bedrooms on this level, including the Master, which has walk-through clothes storage and an elegantly appointed ensuite, with stone benchtops and double vanities. The other two bedrooms also have built-in storage and they share the main bathroom, which has a bathtub and separate shower. The home has so many creature comforts; ducted and zoned air-con throughout, ceiling fans, striking display lighting and loads of storage room. This immaculately presented property is positioned on a prime 600m2 block, within easy reach of the CBD. It is on the doorstep of Paddington and close to the shops and services of Ashgrove. It currently falls in the Ithaca Creek State School catchment and is on the very popular Ithaca Creek bikeway.